Another year gone by and you start to wonder if things have really changed for you, or is it just a new digit at the end of the date showing up on your smart phone and laptop. It is true that not all the passing years will have the same pace of change in your own personal life, but sometimes the pace can be too sluggish, monotonous and exasperating. This can happen especially when you are trying to change certain things in your life like trying to – get a new job, move to a different city, find a decent partner or get into a stable relationship, save enough for life’s big investment, anything that you’re clinging onto with volumes of hope but things don’t really seem to be moving. Sometimes, even if you aren’t planning on changing anything in your life, the sameness of everyday, that daily mundane and humdrum existence can take the ‘New’ out of ‘Happy New Year’. Life altering big changes might sometimes take time to transpire and the improvements we wish do happen after all, but in a different way. Life has a different and better plan for you, remember? By making small changes in our daily lives we can still kill the routine and embrace happiness, or maybe try to tweak our master plan a bit to pace up things. The small changes we put into our life each day, each hour will finally lead us to bigger achievements we are hoping for. Nevertheless, start the year with a positive attitude and believe in the master plan of the universe. Personally for me, 2015 was a mixed bag of emotions with intense moments, sighs of frustration with multiple patience tests, and unforgettable memories of loved ones. Some things really worked out the way I hoped for, while some opportunities were missed no matter how hard I tried. Things, at any certain point in your life, may not be the way you hoped for in your mind. Correction, actually things will never be the way you hope for in your life, because let’s face it – life is a mess. And an ideal condition exists in theory, much as fairytales happen in story books. The truth is today will never be more perfect for you than it is today, at this moment. Life is a work in progress at each moment and hence, never say never. I have been addicted to the new song “Half the world away” by Oasis, and it just ends perfectly for me – “I’ve been lost, I’ve been found. But I don’t feel down”. Watch the video and if you wanna sing along, find the lyrics below. Happy 2016. We live in a funny world where successful attempts of risks are celebrated and unsuccessful attempts or failures are frowned upon! The cultural pressure of surviving a failed risk psychologically (let alone financially), at times exceeds the efforts that would take to succeed the very first time. Hence, risk takers are so hard to come across. One of the biggest regrets in my life (Yes, I have regrets! 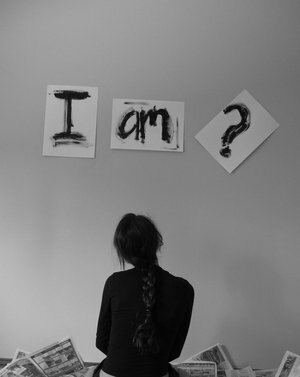 I am not perfect.) is that I did not take enough risks to follow my passion(s) earlier on in my life. The fear of failure and playing it safe can be the biggest cause of failure. (What an irony of life, isn’t it?) The sooner one realizes that, the better. Sadly, we are brought up in an environment that teaches kids from a young age to take the safer route, have regular and conventional hobbies – most of the times not leaving any room for creative mindset building, out-of-the-box thinking. That’s just the way our society is, people appreciate creative art works and unconventional ideas when they are having “intelligent discussions”, but refrain from inculcating a culture of these for the future generation. I am not against conventional mindset, it is equally important for the society. Being part of the millennial generation who survived the 2008 economic crisis marginally by a few months, I know the value of a well-paying established “conventional” job (to pay-back education loans!). Walking into my job interview a couple of months later, would have meant that there actually would have been no job to be interviewed for in the first place, a plight many of my friends did go through during that period. At the same time, I do believe many of us let our creative ideas and passions die in the process of having a “conventional” life and regular routine. Also, you see many eyes rolling at those who follow their passion and take a break from the nine-to-five routine. I remember someone at work telling me, “Why are you doing this? This is absolutely pointless.”, when I was making a crucial career move by following one of my passions costing me much of my life’s savings, which seemed risky (maybe even fatal) to some. I just smiled at him and told myself “You would never understand.” (Yeah, I love sarcasm style of humor! Don’t you? 😉 ) And don’t get me wrong here, I do believe in collective growth. Given a chance, I would love to be an agony aunt and give a lecture on the importance of following one’s passion and taking worthwhile risks. (This blog is intended for the same.) In-fact sometimes I feel sorry for those who don’t realize that by playing it safe, they are actually risking it all. But as the saying goes, ‘Unsolicited advice is seldom appreciated’ and more often than not a risk taking attitude is ridiculed and laughed upon. Absolutely adore the song by One Republic, inspires me to the core every time I listen to it. The word confidence makes me slightly nervous, for I have never really understood its meaning. Yeah alright, I know the dictionary meaning which probably is the state of being certain about one’s actions, decisions, etc. Everyday we live fearing the consequences of our own decisions on our future, or others around us. Everyday we have to put on a tough and smiling exterior to show the world that we are confident, when inside we have no idea what’s gonna happen the next second. At workplace or personal space, any decision that you take ain’t gonna come with a guarantee. Everyday we fear that others might realize that we have absolutely no idea what we’re doing and that we’re gonna be exposed. For me, I constantly live dreading the day when someone with a lot of might will tell me at my face,“Bugger off kiddo, you are a good for nothing, brainless idiot.” And you know what, the amazing part is it may have happened to me already a couple of times, although the words used were different but more or less meant the same thing. (I am not making a very good impression here, am I! :D) The point to be noted here is that I survived and I am proud of it, not so much proud of being brainless though. 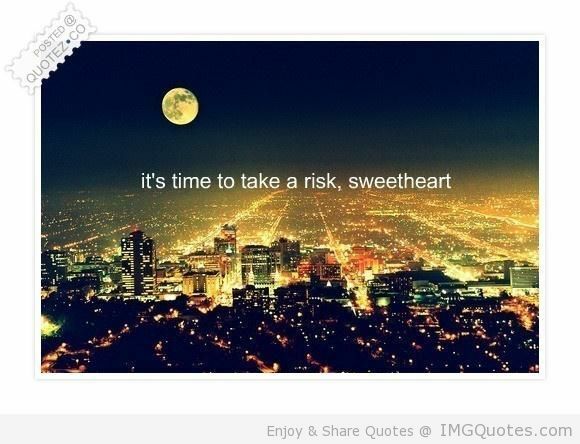 “Be brave, take risks! Nothing can substitute experience.” ~ Paulo Coelho …… That’s another way of looking at it. The thought of learning something new and trying something different should make one more confident in daily lives. But there’s a catch to it, especially when you don’t want things to go wrong, in case the decisions can be life changing ones. Ya that’s right.. as expected I feel terrible and guilty about not keeping up with my blog for last couple of months. But what better way to get back than the new Coldplay track and what better time than Diwali!! Heard this new track and absolutely loved it..
Last week came the tragic and shocking news of British singer Amy Winehouse’s death. Severe drug addiction is said to be the cause behind her death, and she might have died of drug overdose. A very sad case of how substance abuse controls the life, as she was being unable to come out of it even after she went through numerous rehabs. Too much of any thing becomes a poison, as rightly pointed out once by Swami Vivekananda, and Amy Winehouse had got addicted to the poison itself. 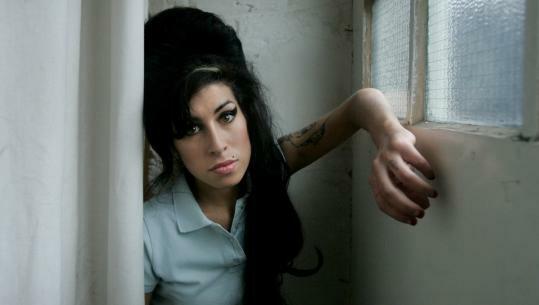 That’s an immense and terrible waste of talent as she died in her prime years, joining the doomed 27 Club of pop stars. She leaves behind an impressive legacy of music and that’s what she would be remembered for. Hope her death would set an example to all those engaging themselves and others in substance abuse. Life is beautiful and we should learn to respect and value it. Everyone is alive for a purpose and that purpose is definitely not served if we don’t value our lives. Ever wondered how some songs have been lying there on your playlist for, god knows, how many years!! Well, there are a couple of them in mine, as well. Love the song “That Thing You Do” from the soundtrack of the Tom Hanks movie by the same name. The movie plot is about a One Hit Wonder band called “The Wonders” who could never make it to their second album after having a gala time celebrating the success of their first one. Apparently, Tom Hanks also had a small role in the movie. The film dramatically describes the rise and fall of the band and portrays the common One Hit Wonder phenomena quite effectively, where the members break up after the initial high of the success to carry on with their life. Originally the song was performed by Mike Viola on vocals with Schlesinger on backup vocals. In the movie the song makes it among Top Ten hits in the US, however it could not reach that success in real life. Nevertheless, the song is a “must listen to”!! Just thought of sharing this fab song which is topping my play list at the moment. To give you a bit of a background about this song which is titled, “I see the light” from the Tangled soundtrack. It was nominated in all the major award functions this year for the best original song. It just lost the Oscar to “We Belong Together” from the movie Toy Story 3, a couple of weeks back. Another exceptional and fun song. Nevertheless, this is a marvel track with some exemplary music and amazingly serene voice of Mandy Moore after a long time. Can you tell when people are lying to you? I can’t always, but some times I know. Its simple! I myself, am not a perfect and glib liar and hence, avoid lying as far as possible. I feel less confident, start fumbling and avoid any kind of eye contact with the person, whom I am lying to. And these same signs, help me identify a liar. Of course, there are some who perfect the art and become an expert to an extent that anyone would believe them. Apparently, there are psychological experts who use applied psychology, interpret micro-expressions, through the Facial Action Coding System, and body language to identify when criminals are lying. Microexpressions are brief, involuntary facial expressions that reflect on the face as per the emotions experienced. Unlike regular expressions, it is difficult to fake micro-expressions, as they occur as fast as 1/15 to 1/25 of a second. “Lie to me” , an American TV series features complex instances where criminals are caught by analyzing these micro-expressions, explains this kind of lie detection mechanism. Gita – the sacred text for Hindus – says that any lie told in good will does not amount to a sin. Sometimes the truth can be far more turbulent and disturbing than the lie. Well, as much as I hate liars, I have to confess that often there is no other way out. There is no better option than to deliberately resort to hiding the truth. Howsoever small the lie may be, the less frequent such situations come up, the better. And most importantly, as Shakespeare said “To thine own self be true”. Love the song which was in the top of the charts last year, featuring my favorite Rihanna 🙂 ! !